The concept of using personal mobile devices at work has received its name long ago, BYOD or literally, “Bring Your Own Device.” Initially, this idea was thoroughly embraced by employees and business owners alike. Employees enjoyed the convenience of doing work when they needed to be outside the office. Management loved the idea that the work day no longer ending when employees exited the company’s building. Additionally, it was just a fact that employees were going to bring their personal phones into the corporate environment expected to be able to use them. We now know that as this concept matured the perspectives on BYOD have evolved. The original benefits are still in place. However, companies quickly discovered that investments in mitigating security risks resulted in modest cost savings. Furthermore, the gains in employee satisfaction began to waiver as personal privacy concerns came into light. Regardless of the obstacles, the market for BYOD solutions continues to grow and is a key indicator that BYOD is a worthy investment. However, organizations are refining their approach to this complex issue. What goes into providing a smartphone for employees is not just the original cost of the device. It is the data plan, maintenance issues, disposal regulations, and the data wiping labor when it must be repurposed for a different employee. So cost is still an important factor. Startups that are trying to minimize the capital investment for supplying employees will find the option attractive. Companies heavily relying on contractors or have a high turnover rate will also benefit. Insights.samsung.com cited a study on cost models and suggested that most large corporations with ten thousand employees or more will recover approximately 11% in savings even after subtracting mobile device management expenses. Improving employee productivity and morale are additional targets for large organizations. Because workers use the device of their choosing, it makes sense that they will easily utilize device features without making trivial calls to IT support. Similarly, the HR management team that works hard maintaining employee satisfaction, views BYOD as playing an important part in boosting employee morale. Security awareness took time to catch up to the BYOD trend. As a result, there weren’t any serious efforts made to address potential threats. It didn’t take long before the community began to observe multiple types of data breaches. Mobile devices had specific vulnerabilities and required regular software patching. Due to lack of knowledge, workers often neglected to keep their devices up to date. Poorly cared for devices have led to more than half of the security breaches. There is a massive risk for employers when a device is lost or stolen, and the data is not encrypted. Lack of IT infrastructure meant there wasn’t sufficient network oversight over which employees and applications were permitted in the BYOD program. This is in contrast to today, where there’s a thriving competitive industry providing a variety of solutions making BYOD programs safe. With so many new options for managers to evaluate, finding the best path forward can be daunting. The industry is far from mature and as result prices and services are all over the place. However, there are several tips you can follow to improve your implementation of BYOD. First, define the businesses primary security concerns and create a formal policy document that outlines company goals, employee eligibility rules, support devices and consequences for violations. Next, provide ongoing employee training. Creating mandatory classes on privacy risks, preventive best practices, and company rules around mobile devices is essential for maintaining satisfactory security levels. Research CYOD (Choose Your Own Device) and how a hybrid program might be best for your company. This adaptation of BYOD allows businesses to still give their employees choices from a pre-approved list of a company managed devices, but while doing so significantly reduces risk and complexity of your program. Many large corporations are moving this model because they can benefit from buying hardware in bulk, plus they consolidate device management operations. This is key in order to recoup costs savings. Employees are often happy with this arrangement because their privacy concerns are relieved, and usually, they end up with a newer phone model than they previously owned. Do an inventory of allowed devices on your network. This final recommendation is vital to prevent unexpected data breaches. The enterprise must work to block all unauthorized network connections and establish a formal process for provisioning devices to be on company networks. There can be limited networks and remote verification processes, though the goal remains the same. Only allow known and approved devices to connect to any company network. 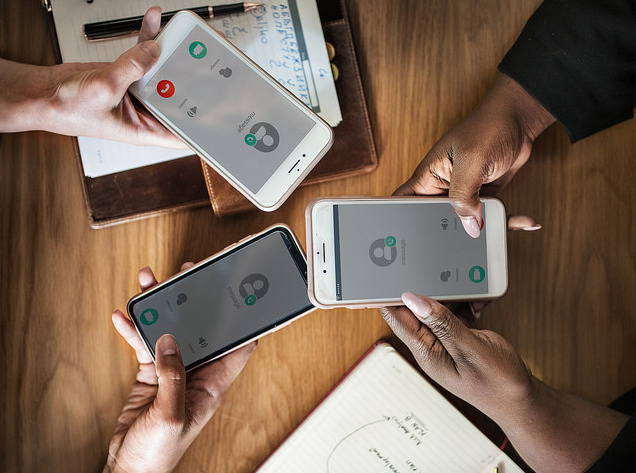 The increase for remote workers, global partners, and third-party vendors are driving businesses to find BYOD solutions. The goal everyone agrees with, is to empower workers by removing limitations, and ultimately allowing devices and applications which make us the most successful. There are still challenges to overcome, but numbers don’t lie, the pursuit for BYOD is marching on. So don’t hold back and make 2019 the year you embrace the opportunities of BYOD.